Figure who and how to employ the staff you need for your new business. Determine where your resource gaps are and who can fill them with help from this guide on hiring for startups. Who do I need to employ? As a new business, in order to decide what type of employees you need to hire you should consider the overall goals of the business, and the specific activities which need to happen to reach those goals. Figuring these things out will help you to determine the level of knowledge and skills you need from your future hires. You should also consider the skill set of the founders and what they can take on, which will help you realise where help is needed. Examine the depth of knowledge required to achieve business goals and the length of time they can be achieved in. It may be that a marketing graduate can handle your immediate marketing needs part-time, or you require a more in-depth marketing strategy and need the proficiency of a senior marketing manager. You may need the expertise of an someone for a specific project, in which case a contractor or consultant may be more appropriate. How do I hire someone? 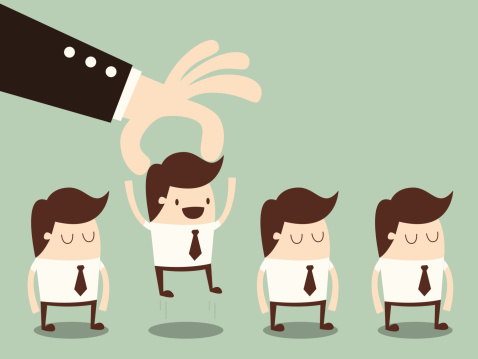 Recruiting for your new employee is the first step in the hiring process. The most important legal issue when recruiting is to avoid unlawful discrimination. Take care when writing the job specification and during the hiring process. There are some practical steps to think about when making your first hire. These include appointing a payroll provider, purchasing employer’s liability insurance, making tax arrangements, preparing employment policies and conducting a health and safety assessment. Read our Checklist for new employers and Hiring for further guidance. You should also consider pay and benefits such as employee pensions, holiday entitlement and salaries. Most people are employed as employees, and work under a contract of employment. Employees generally have more employment rights than workers and the self-employed. Employers deduct tax and national insurance contributions directly from employees’ salaries. Employees can usually be divided into levels of seniority. The most senior employees will normally be executive directors. An executive director holds the statutory office of director but is also an employee of the company. They have day to day responsibility for running the business and often are in charge of an area, eg finance, and can sit on the board of directors, who answer to the company's shareholders. A managing director is sometimes appointed to lead implementation of the Board’s strategy. Executive directors are appointed using a type of employment contract that covers their employment status, office as director and the relationship between these. Senior employees will usually be departmental heads eg Head of operations. Sometimes departmental heads are also called directors eg ‘Director of Sales’, even though they do not hold a position on the board. Senior personnel will have access to confidential business information and therefore you should consider using a senior employment contract when hiring them. This should include clauses on garden leave and post-restrictive covenants, which can help to protect your business secrets, and prevent employees working for your competitors for a certain period of time once they leave the company. Regular employees should sign a written employment statement - normally in the form of a standard employment contract to formalise the employment relationship. Putting the employee - employer relationship into a contract makes the employee obligations clear and avoids any potential disputes. For more guidance on employment contracts read Employee documents. It may be that you only need someone for a period of time for a specific project, in which case you can hire them for a period of time using a consultancy agreement. Consultants and contractors are self-assessed for tax purposes. Read our guide to Using consultants for more information. Non-executive directors are independent advisors to the company, which may specialise in a specific area. A non-executive director is required to attend board meetings to provide advice to the executive directors. Non-executive directors are are appointed using a letter of appointment, which is similar to a consultancy agreement. However for tax purposes individual non-executive directors are treated as employees by HMRC. This is because the role is a statutory appointment at Companies House as a Director, and hence the post is an ‘office’. HMRC views an individual ‘office holder’ as an ‘employee’. For further information read our guide on Different types of statutory directors.